For more than four hundred years the people of coastal Maine have clung to their rocky, wind-swept lands, resisting outsiders’ attempts to control them while harvesting the astonishing bounty of the Gulf of Maine. Today’s independent, self-sufficient lobstermen belong to the communities imbued with a European sense of ties between land and people, but threatened by the forces of homogenization spreading up the eastern seaboard. In the tradition of William Warner’s Beautiful Swimmers, veteran journalist Colin Woodard (author of American Character: A History of the Epic Struggle Between Individual Liberty and the Common Good) traces the history of the rugged fishing communities that dot the coast of Maine and the prized crustacean that has long provided their livelihood. 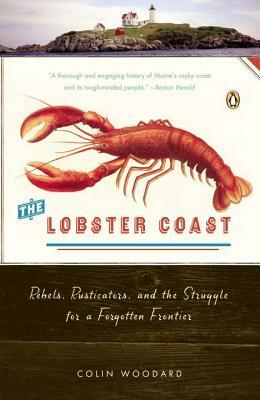 Through forgotten wars and rebellions, and with a deep tradition of resistance to interference by people “from away,” Maine’s lobstermen have defended an earlier vision of America while defying the “tragedy of the commons”—the notion that people always overexploit their shared property. Instead, these icons of American individualism represent a rare example of true communal values and collaboration through grit, courage, and hard-won wisdom. Colin Woodard, an award-winning writer and journalist, is currently the state and national affairs writer at the Portland Press Herald and Maine Sunday Telegram and received a 2012 George Polk Award for an investigative project he did for those papers. A longtime foreign correspondent for The Christian Science Monitor, the San Francisco Chronicle, and The Chronicle of Higher Education, he has reported from more than fifty foreign countries and seven continents. His work has appeared in dozens of publications, including The Economist, Smithsonian, The Washington Post, Politico, Newsweek, The Daily Beast, The Guardian, Bloomberg View, and Washington Monthly. A graduate of Tufts University and the University of Chicago, he is the author of several books, including American Nations and The Republic of Pirates.